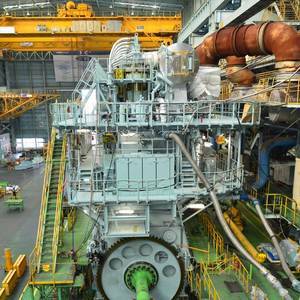 Pasha Hawaii reports that factory acceptance testing (FAT) of the dual-fueled, MAN Diesel & Turbo ME-GI main engine has been completed for the M/V George III, the first of two 774-ft., U.S. Jones Act, LNG-fueled containerships being built at Keppel AmFELS in Brownsville, TX. 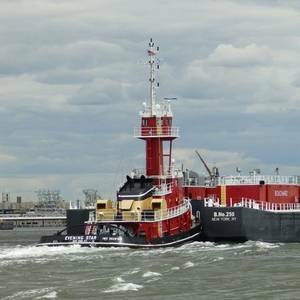 The two ‘Ohana Class ves-sels will join the Pasha Hawaii fleet, which provides service to the Hawaii/Mainland trade lane. 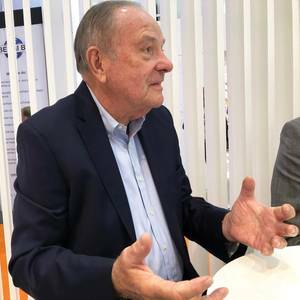 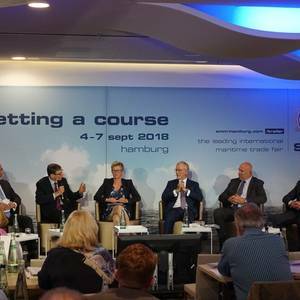 Event heralds new era of world-class supply chain service. 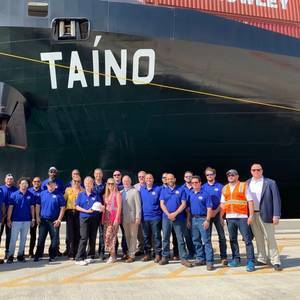 Crowley Maritime Corp. christened the U.S.-flag combination container/roll on-roll off (ConRo) ship MV Taíno today in San Juan, where the company’s investments have ushered in a new era of world-class supply chain services in the U.S. mainland-Puerto Rico trade. 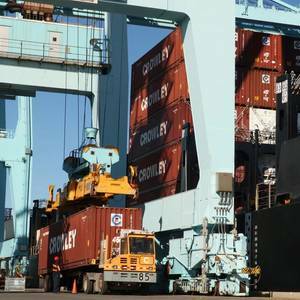 Build it and they will come mentality serves TOTE well on ‘world first’ LNG ContainershipsAs the marine industry collectively struggles to find solutions to the mounting mandates to cut emissions, U.S. owner TOTE, which broke ground three years ago with the world’s first LNG-fueled containership, has more than 36 months experience operating almost exclusively on LNG. 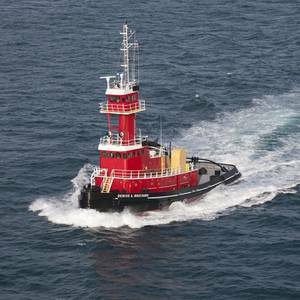 Portland, Ore. shipbuilder Gunderson Marine announced today that it has secured an order from Tampa. 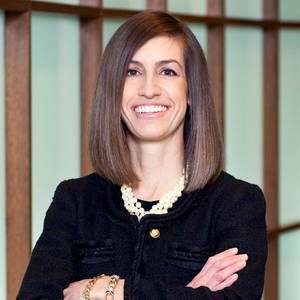 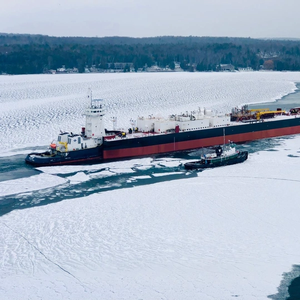 Fla. based energy transportation firm Overseas Shipholding Group, Inc. (OSG) for the construction of a 204,000 barrel capacity tank barge for delivery in the second quarter of 2020. 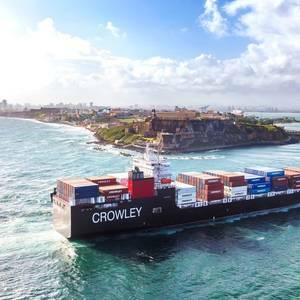 U.S. based Crowley Maritime Corp. has taken delivery of one of the world’s first combination container/roll on-roll off (ConRo) ships powered by liquefied natural gas (LNG), from shipbuilder VT Halter Marine Inc. 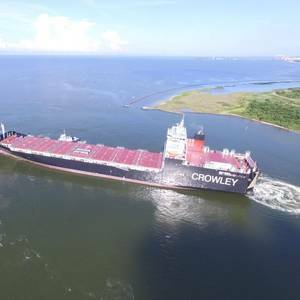 The Jones Act compliant El Coquí is the first of two Commitment Class, LNG-powered ConRo ships being built for Crowley’s shipping and logistics services between Jacksonville, Fla.